About 70% of immigrants to the U.S. during 1892 through 1924 came through the Ellis Island immigration station. The island’s history including the Wall of Honor, and the changing questions on ship manifest forms will be shown. The pressures of the “Great Migration” eventually led to immigration quotas. The persistent myth of name changes at Ellis Island will be analyzed. Twenty percent of processed immigrants ended up on detention sheets, and we will find out where those can be found. Finally, we will introduce all four (4!) of the ship name indexes. After this talk the audience should have a clear idea of the process the immigrants went through, and a greater appreciation of the manifest as a genealogy research tool. Be prepared to try to successfully negotiate the “Island of Tears” and avoid deportation by Joel! Original material will be displayed. Joel Weintraub, a New Yorker by birth, is an emeritus Professor at California State University Fullerton and won awards for his science teaching. He volunteered for nine years at the National Archives and Records Administration. Joel created search tools for the U.S. and New York City censuses that are freely available on the Steve Morse “One-Step” website. He and Steve are currently developing locational tools for the 2022 release of the 1950 federal census. 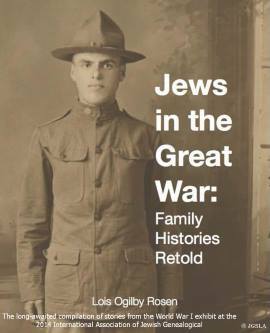 Joel has written and talked on NYC and Federal census research, immigration and naturalization, Ellis Island, biographical research, and Jewish genealogy topics.